When Canadian Major League Soccer club Toronto FC announced the signings of English striker Jermain Defoe from EPL club Tottenham and American midfielder Michael Bradley from Italian side AS Roma, the city of Toronto was abuzz. The deal, promoted by TFC’s marketing heads as a “bloody big deal” was the biggest in the club’s 7 year history, a span in which the “Reds” were unable to gain an all-important post-season playoff berth even once. But although Defoe’s capture seemed impressive in MLS standards, there were questions raised about the striker’s ability to perform admirably after seeing the bench much more often than the playing field at his previous club Tottenham. The skeptics were out in numbers, listing their reasons why Defoe may not at all be a success in the North American league. Sure, some of the fan comments above may have seen legitimate at the time. But Defoe had a few points to prove. 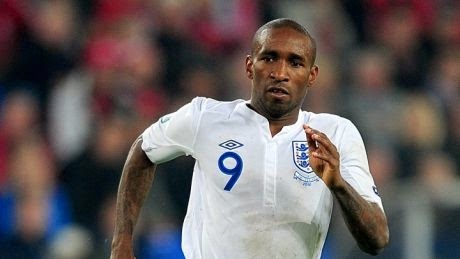 With the 2014 World Cup just around the corner and with English national team manager Roy Hodgson looking to select 23 men that will lead the Three Lions to glory in Brazil, Defoe had the playing time and opportunity to put himself as a front runner for another selection to play for his national squad. Defoe has played for England on fifty-five previous occasions, scoring nineteen times for his country. Defoe would silence all critiques in the very first match of the year, a 2-1 win over Seattle at CenturyLink Field. Scoring both of his new team’s goals, Jermaine Defoe came back to Toronto with a smile, knowing that he was able to leave an immediate mark on both his newly adopted supporters and Hodgson who was surely watching back in England. On May 12, when Roy Hodgson announce his squad for the upcoming World Cup, Defoe having three goals to his name in the MLS was not selected to travel to Brazil, and in his first interview after the fact you could just see the disappointment in his eyes. But what may have been England’s loss, was Toronto FC’s gain, as the national team snub would mean that Defoe (if healthy) would not miss any league matches unlike teammates Michael Bradley and Julio Cesar who did make the trip with their national sides. After the World Cup roster selection and just before the start of the big tournaments, Defoe seemed on a mission now more than ever to show Hodgson what he may have missed out on, netting 4 more goals for his MLS side in a span of just four matches. During the World Cup he’d score once more in three matches, before the fixture yesterday, when the English forward scored twice more in his team’s 4-2 win over the Houston Dynamo. Altogether, Defoe has now tallied 10 goals in just 12 matches with his Toronto club. And while he is not at the top of MLS’s scoring chart, the four strikers topping his tally have played more matches. For Toronto FC who had now played almost half its season schedule, Defoe’s arrival seems like money well spent, and although there is still many fixtures ahead, the Canadian club is sitting in third place in its Eastern Conference and if the season were to end today TFC would be competing in the post-season playoffs. 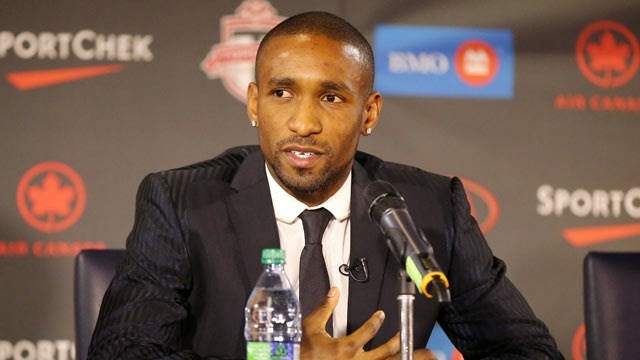 Defoe, Toronto FC’s number 18, has been a star. A striker the likes of which have never been seen before in the red jersey of Toronto. If he manages to stay healthy and perform the way he has so far, Hodgson (or whoever is in charge of England at the time) may have an itch to pick up the phone and call the soon to be 32 year old to help them in their qualifying campaign for the 2016 Euros in France.